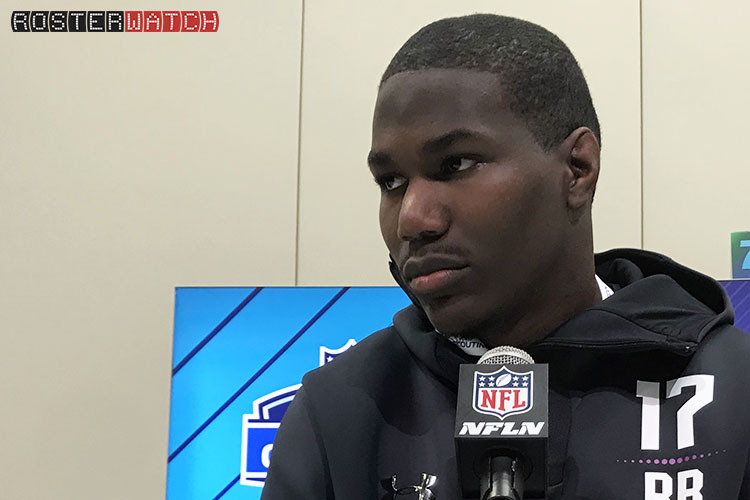 Scouting Notes: Kerryon Johnson ticks many of the boxes that the top backs in the draft do, but he doesn’t bring the fanfare that comes with a Barkley or Guice. A productive runner at Auburn, Johnson is a patient runner that careens off of tacklers and burst through his lanes with aplomb. His balance is exceptional considering that he is not thick through the thighs and runs with an upright style. A three-down threat with soft hands and a quick turn upfield, Johnson glides and then pops through traffic, gaining yardage in chunks. He doesn’t have great long speed, which limits his upside, but he has good vision and keeps his legs churning through contact. Johnson might take a little too much punishment for his build and is a concern for durability issues, on account of his smaller trunk. He can sometimes be a little too patient as well, but creating urgency and deflecting contact are things he can improve with practice. He has all of the other intangibles a good back needs to flourish on the next level, and he’s a willing blocker, if his hip level leaves a little to be desired. His leaping ability and strength were among the upper echelon of backs at the Combine, and though his 40 time isn’t intimidating, he is fast in spurts and has a nice second gear. Fantasy Outlook: Teams are becoming wise to Johnson and his athletic prowess, so much so that he isn’t quite the sleeper he was thought to be anymore. It would be surprising if he slips past the second round with his all-around skill set and solid build, in addition to his impressive production in a competitive program – it helps to put up good numbers at a major FBS school. He should be able to offer fantasy value in most situations, as he can run between tackles or serve as a third down back, if he doesn’t get on as a three down back for some team. His running style doesn’t scare me too much, as we’ve seen similar runners like DeMarco Murray and Darren McFadden produce with regularity, though both have dealt with untimely injuries throughout their NFL careers. If you miss on one of the usual suspects among the running backs at the top of the draft, Johnson offers reasonable upside in dynasty. I have my rookie draft tomorrow and I have the 1.4. Barkley is for sure the 1.1 and I’m unsure who will be there at 1.4. 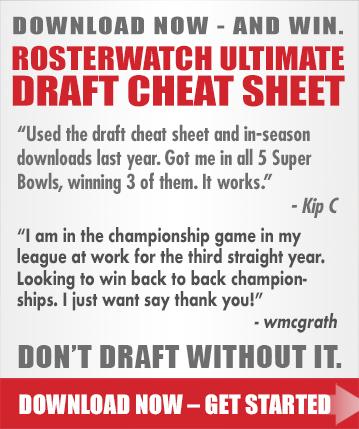 I see Kerryon is the 2nd player in the Version 4 cheat sheet but I can’t find any reasons why. I’m struggling with who to take if Michel, Freeman, Kerryon, and Penny are there. Any help is appreciated, you guys are worth the Pro membership! !